It is looking increasingly likely that Britain will be crashing out of the EU without a deal. Whilst I don’t condone the recent words of Donald Tusk condemning leading Brexiteers, as somebody trying to look to the future in farming I cannot pretend that part of me wanted to thank him for saying it. 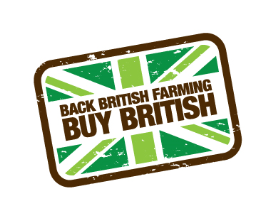 Brexit has unleashed uncertainty in all sectors but for British agriculture the short-term future looks bleaker than most. For those of us who keep sheep, on whatever scale, this uncertainty is even greater. As I prepare for lambing 2019 I have very little idea at all when it comes to where the market price will be for lamb when the new generation of lambs are eventually ready to be sold. However, the cycles of crops and animals don’t respect political changes and so we must continue regardless or get out completely. I know of a lot of sheep farmers who are selling up, if they haven’t got out already. The alternative is to diversify, sell more of their meat direct, reduce costs where possible and knuckle down to ride through the difficult times ahead. The problem comes in that about 35% of lamb produced in the UK is exported and of this around 96% goes to the rest of Europe. In a no deal situation it is highly likely that there will be an impact on the volume of exports to the Continent. The last time this happened on a significant scale was during the 2001 Foot and Mouth outbreak when prices crashed by about 60%. The important thing to remember is that this happened despite there being fewer lambs available in the marketplace. For the coming year it is expected that there could be a record national lamb crop. If the UK market is flooded without sufficient demand at home or the availability to export surplus sheep farmers could face significant problems. On top of this is the threat of prospective cheap imports and tariffs on exports of up to 60% on some products. In Wales the potential problem becomes even worse. According to Hybu Cig Cymru (Meat Promotion Wales) only 5% of lamb produced in Wales is consumed by people in Wales, 40% is consumed outside of the UK and more than 90% of this goes to Europe. The conventional rewilding brigade (is that an oxymoron?) might be quietly thrilled at the prospect of a diminished sheep sector. It could lead to a short-term abandonment of many upland pastures where distance from market prohibits capacity for direct sales. However, what would happen to the rural economy and to rural communities? If the rewilding model is to work for the uplands then it relies on the development of tourism that supports a diminished income from agriculture. Tourism businesses can’t be built overnight. It takes time which the Brexit model doesn’t respect or acknowledge. The promise of jam tomorrow doesn’t mean anything at all if a business has already gone under. What is more, so much of the rural economy relies on farming as we know it today, from contractors and hauliers to shaping the landscapes that encourage tourism. A no deal threatens all of this. The image of a moaning farmer who complains that it’s too dry when the sun shines and too wet when it rains continues to be an apt one. After all, farmers have plenty to be concerned about. They also seem to be under attack like never before, from vegans to the climate change debate to agricultural chemistry. A no deal Brexit could make all of this a million times worse. I would hazard a guess that farming charities such as the RABI, FCN and the Addington Fund are bracing themselves for a record breaking few years ahead in terms of requests for help. This is the human side of farming that most of us seem to forget about. As we brace ourselves for a rocky road ahead spare a thought therefore for the sheep farmer who faces one of the most uncertain paths available. One of the many consequences of the Brexit ordeal imposed on a country that is broken and on its knees. Ben Eagle is a farmer and writer from Essex. He blogs at thinkingcountry.com, presents the Meet the Farmers podcast and tweets @benjy_eagle.